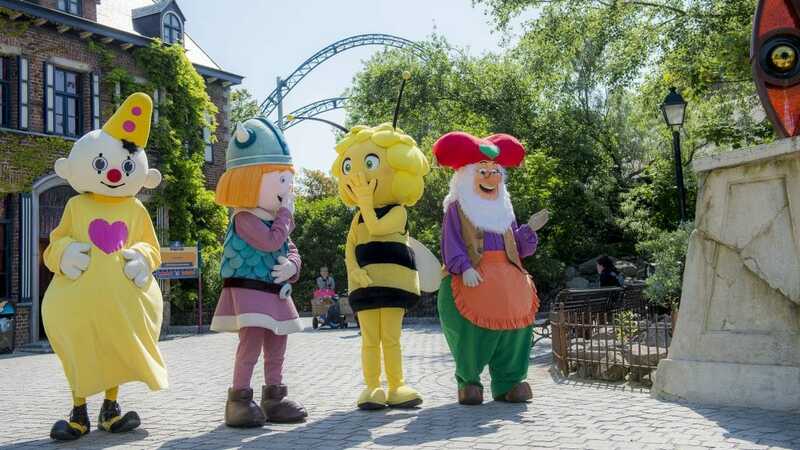 Meet the famous Belgian Plopsa characters! 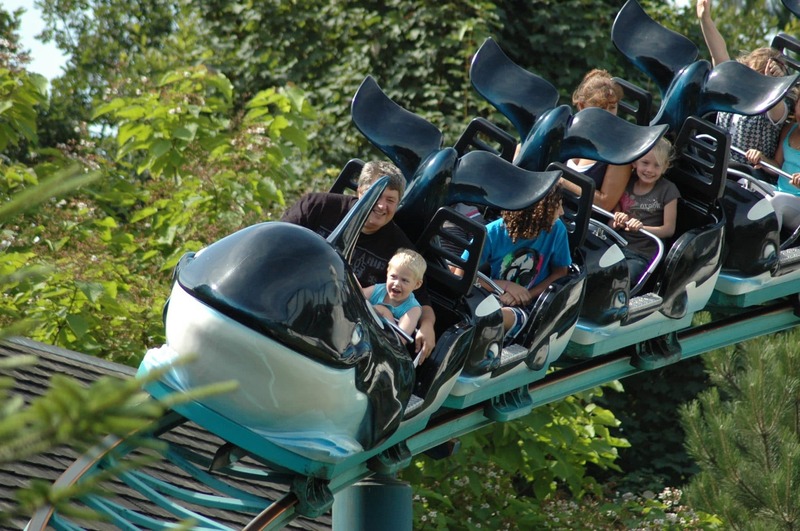 Plopsaland is Belgium’s most popular toddler friendly theme park brand. Themed on a Belgian television character called Plop the Gnome and all his friends, it is especially tailored to young children with all the attractions being quite gentle and many rides suitable for accompanied toddlers. 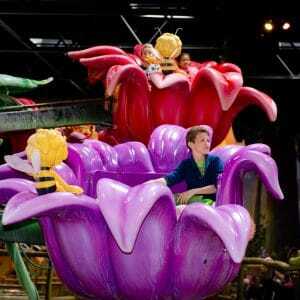 Toddlers are taken through a fantasyland of attractions and the various Plopsa characters are never far away! Access to all of the attractions is based on height yet many attractions are suitable for accompanied babies and toddlers. 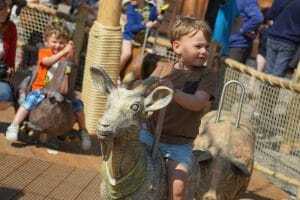 Your little ones can visit real animals at the mini farm and then play on the model animals at the pretend farm! 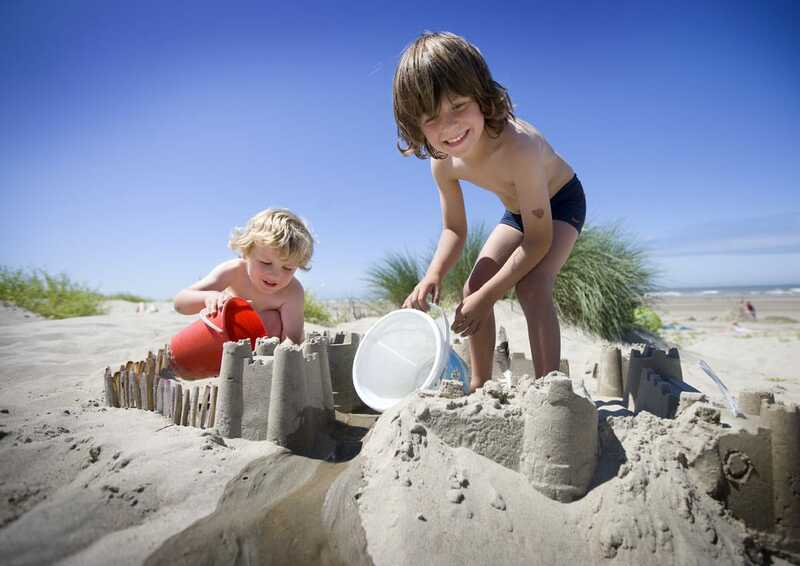 Entry is free for children under 85cm. 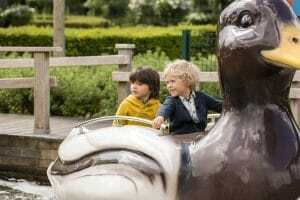 Older siblings can have lots of fun too as there are faster, more exciting rides which they can go on alone. Plopsaland isn’t that big to get around but it does have its own little train, the Plopsa Express, which you can hop on and off if you fancy resting your legs. 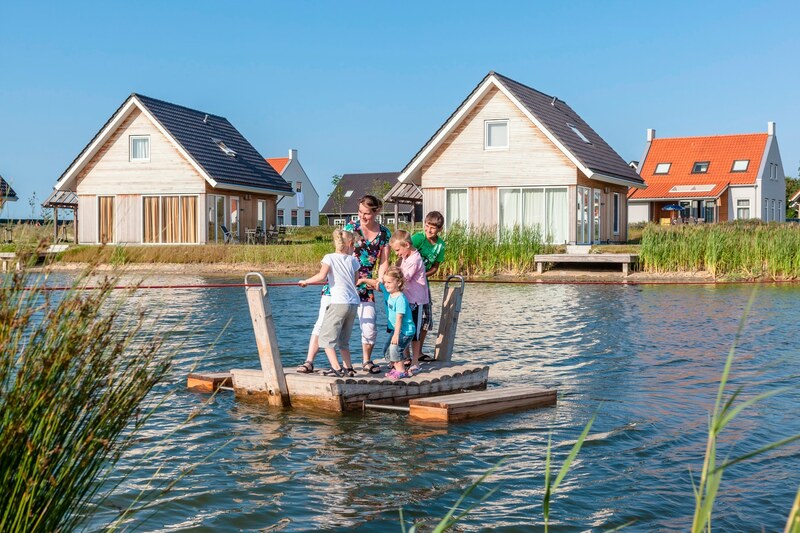 You can also hire little carts to pull your toddlers around (and your stuff!) if you don’t fancy bringing the buggy. 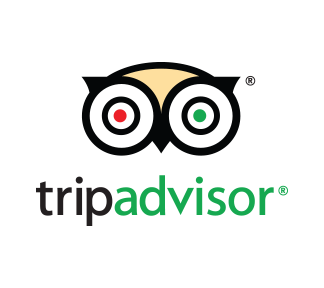 There are lots of places to stop for a picnic while you are going around, or you can have lunch or a snack at the various different restaurants and cafes. All the restaurants here have microwaves to warm baby milk and all the toilets have baby changing facilities. 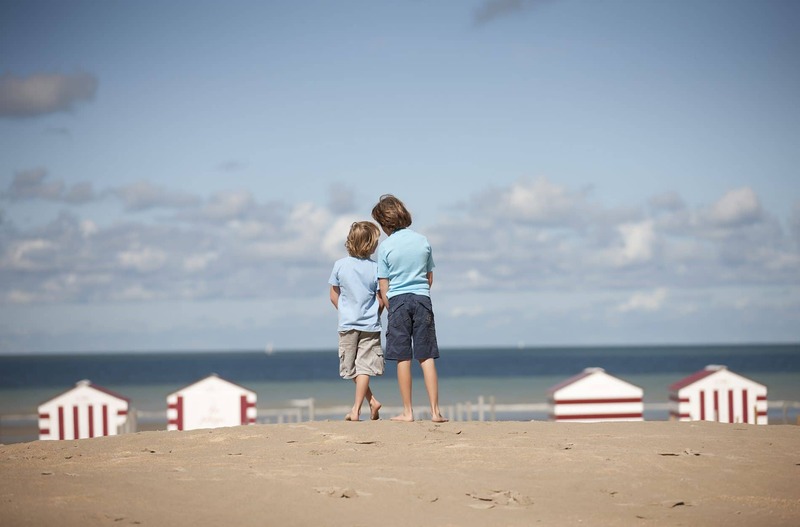 Breast feeding is welcomed in Belgium but if you prefer there is also a separate breastfeeding area you can go to to feed your baby. 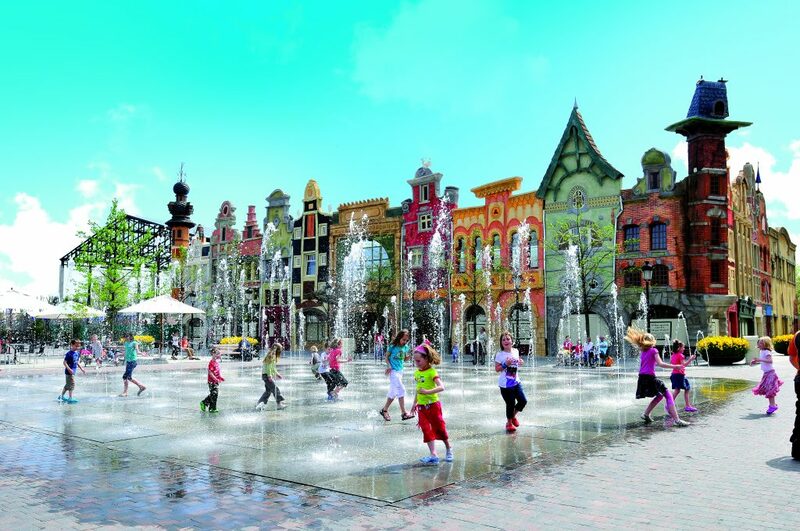 Plopsaland has a funny sounding name but that’s also part of its charm! 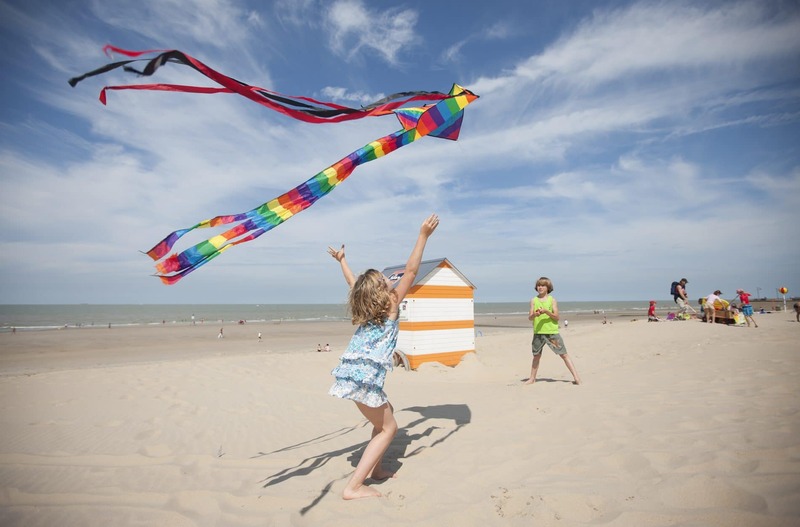 Located in the seaside resort of De Panne it has its own tram stop so there is no need to take the car if you don’t want to. 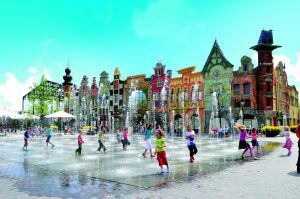 A visit to Plopsaland is a must if you are staying on the Belgian Coast! You could spend the whole day here but for us we found it easier to go for a half day in the morning when it’s also not as busy, and then go back for naps and an afternoon on the beach! 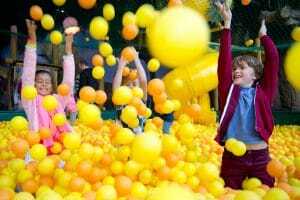 For exclusive discounts on your Plopsaland tickets use the code LITTLECLOGS when booking through our site. 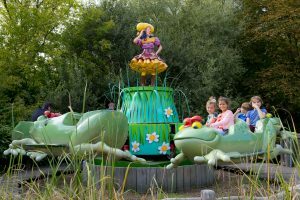 Here are our top choice of attractions for little ones when visiting Plopsaland! 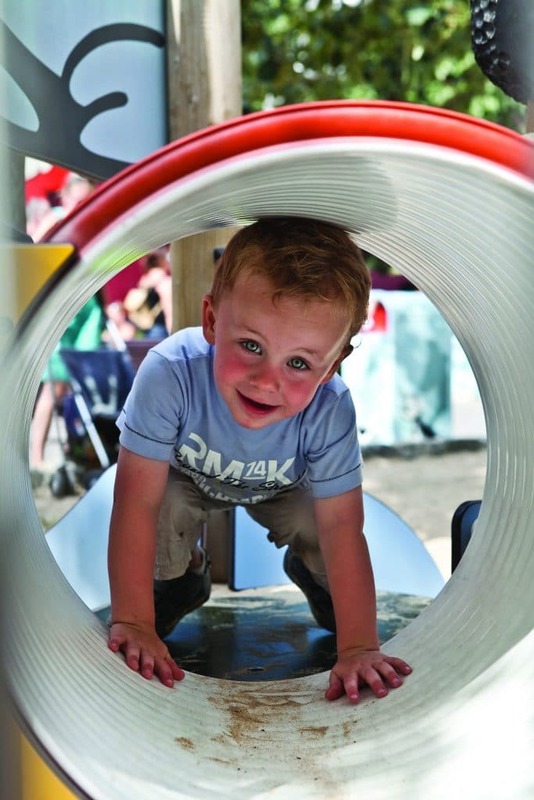 Themed on Bumba the Clown, this sandy play area caters for the littlest ones and has some small slides, climbing equipment, see saws and rocking animals. This is a wonderful indoor play area with many attractions including a play area themed on Willy the bee, an enormous indoor ball pool and a flower themed merry go round. This little ride takes you through Maya the Bee’s garden and you and your little ones have to duck out of the way as little spurts of water are fired out! 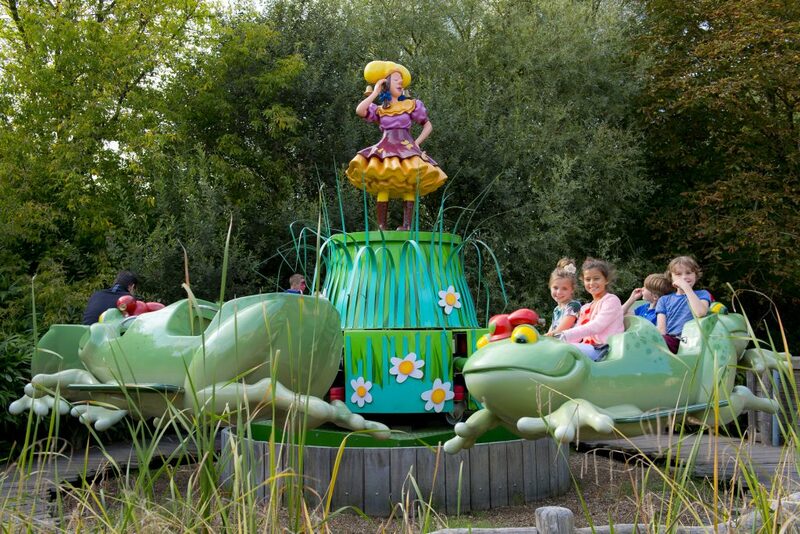 3 separate attractions, all in Plop’s garden, ride around on the ducks, the frogs or the rabbits! 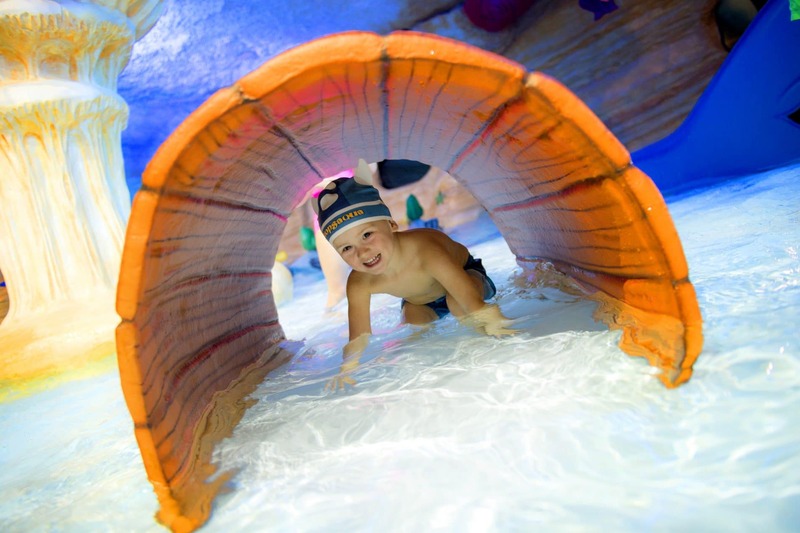 Don’t forget to pack swimming cossies so your little ones can splash around to their hearts content in the dancing fountains! This is a really funny ride where you climb onboard a Viking ship and get to shoot other Viking ships with water. Warning-you can get quite wet on this ride! 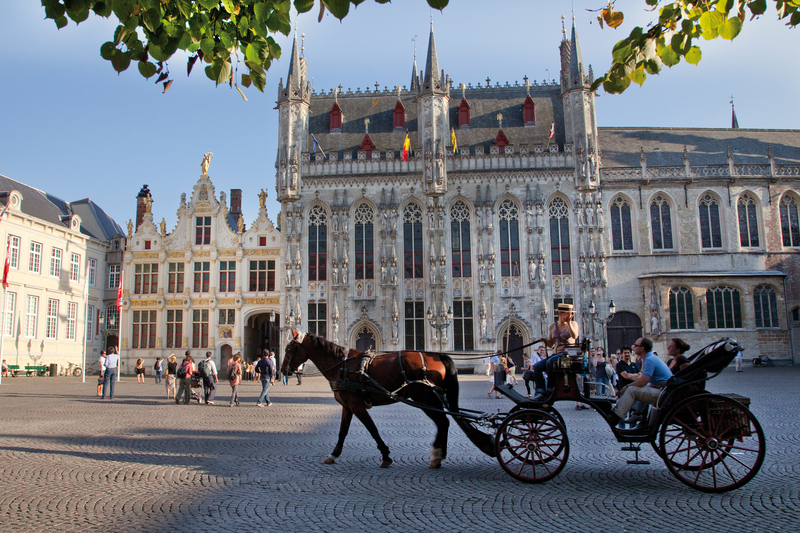 We came over from the UK on the way to Brugge and stopped here for a day, excellent Park, small queues, clean, good value, although food was expensive. 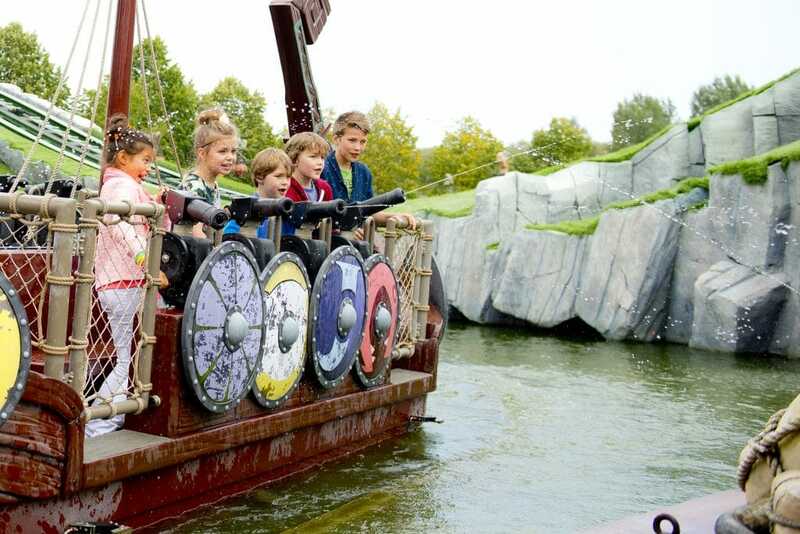 Lots of rides for smaller kids, but the thing that made it special was the staff, excellent, good attitudes and polite and helpful, much better than UK parks.. Well done good job!!!!! 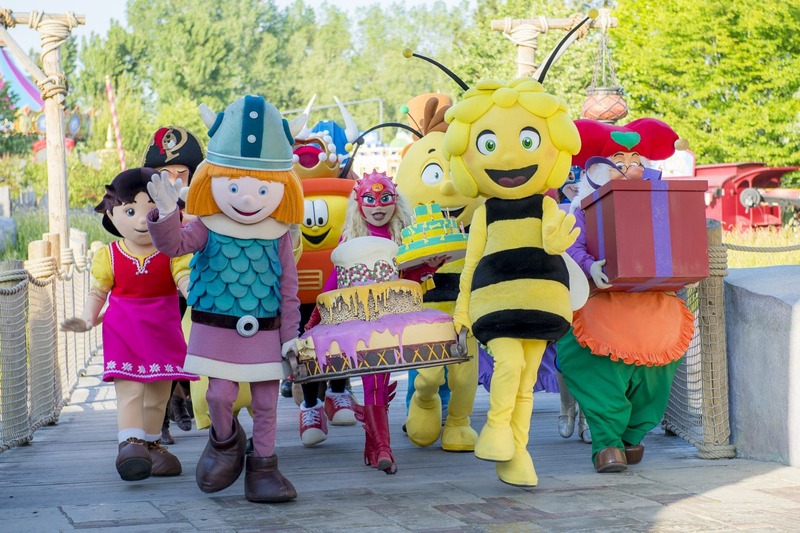 Learn about and meet the Plopsa characters!Very famous in Belgium and Holland! 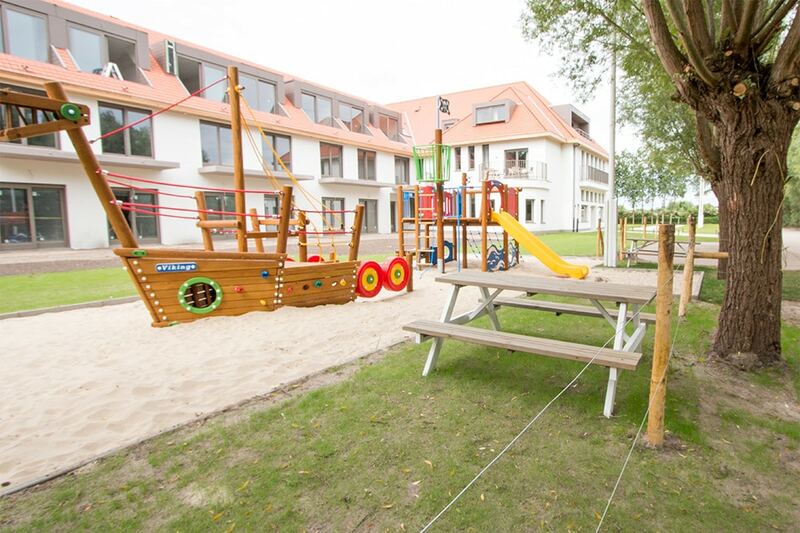 Located just 2km inland from the seaside resort of De Panne.